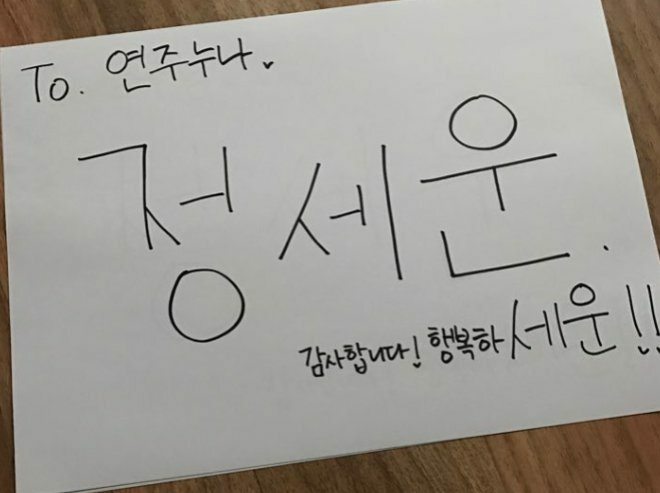 Rookie singer-songwriter Jung Sewoon revealed why he refuses to change his “childish” autograph on Lee Dong Wook’s On The Air. 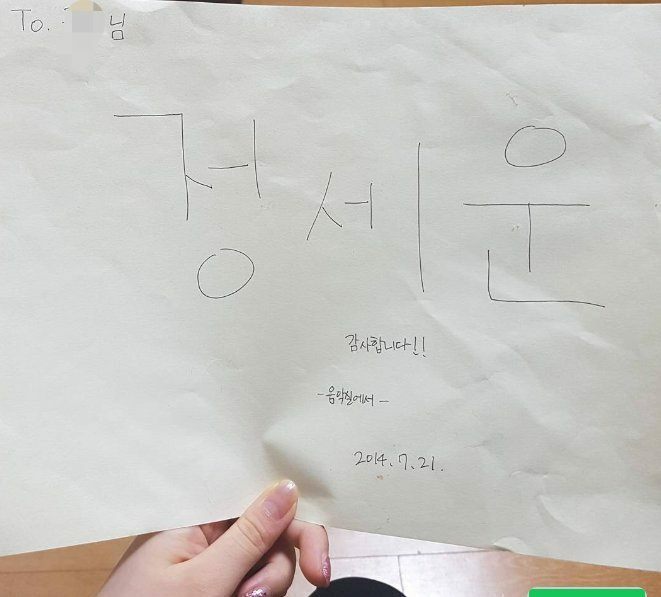 Before he gained fame through Produce 101, he was asked for his signature for the first time ever by a fan. Being a trainee at the time, he didn’t have a signature but offered to write out his name. 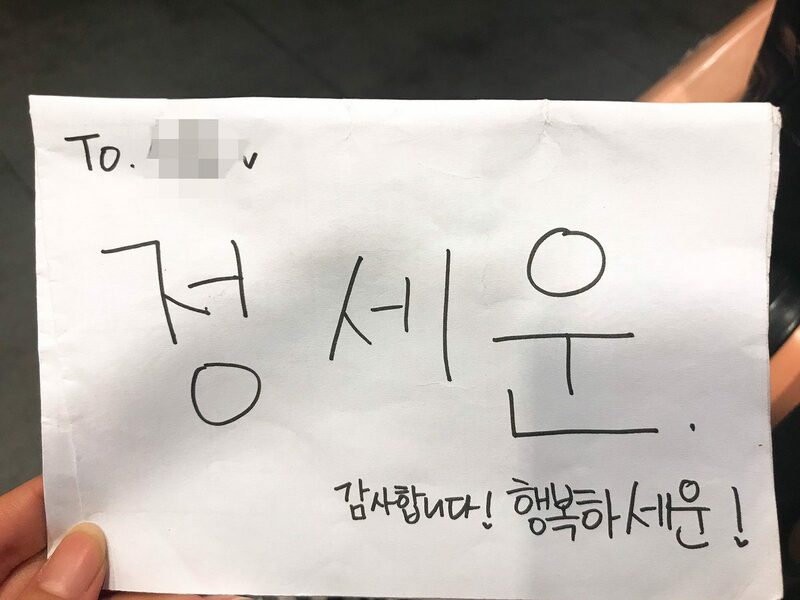 The fan asked, “What if you change your signature?” And Jung Sewoon made the most heartwarming decision. 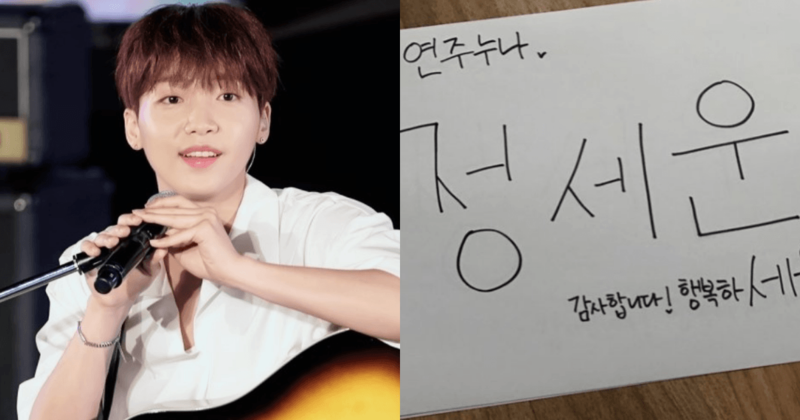 In order to keep his word to his special fan, Jung Sewoon continues to spell out his name without any frills or fancy loops. He acknowledged that his signature may look “corny”, but it has specific details that make it special. He said he grew to love his signature because he sincerely loves his name. And he even uses his name to wish everyone happiness at the bottom of his signature! His signature holds a lot of special meaning for both his fans and him!